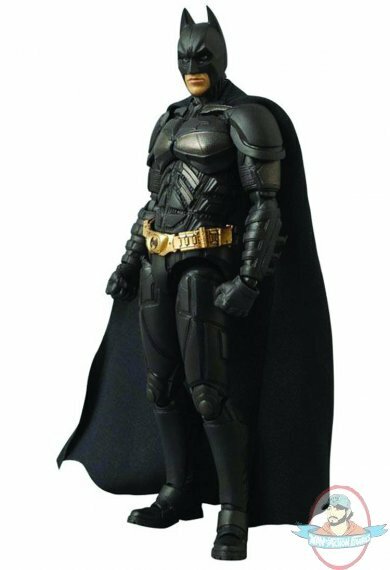 A Japanese import by Medicom Toy Co. Japan's acclaimed Medicom Toy Company delivers their take on Christian Bale's Batman with this The Dark Knight Rises Miracle Action Figure. Based on Bale's appearance in the third movie of director Christopher Nolan's Batman trilogy, this hyper-articulated figure comes packed with multiple hands for action poses, EMP Rifle and Batgrapple. The Dark Knight Rises Batman MAF is exclusive to PREVIEWS outside Asia.